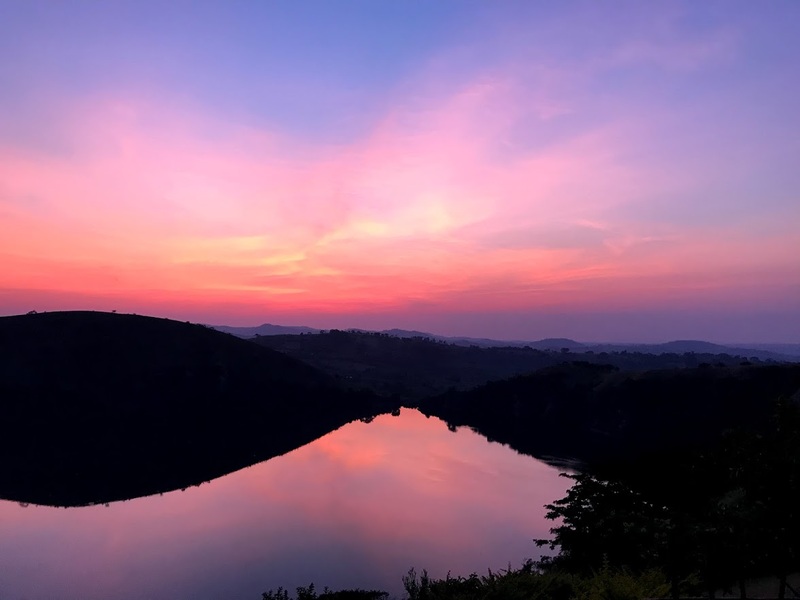 Adventures in Africa: Arduous but Awesome! 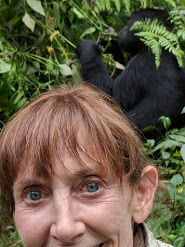 When I first discovered Helen in Wonderlust’s Rock my Adventure Tours, I was super excited about the possibility of trekking with gorillas, a definite bucket list topper. The fact that the itinerary included countries that I had never visited was an added bonus. I didn’t hesitate to sign up knowing that she only had 7 spots available. The price was right and the other activities planned were not discouraging; however, I was somewhat concerned about the age of the other travelers. I suspected this was not an excursion for elders. My group turned out to be incredibly well-traveled and younger than me by decades. But as we all were willing participants we dove right into all the action with true gusto! 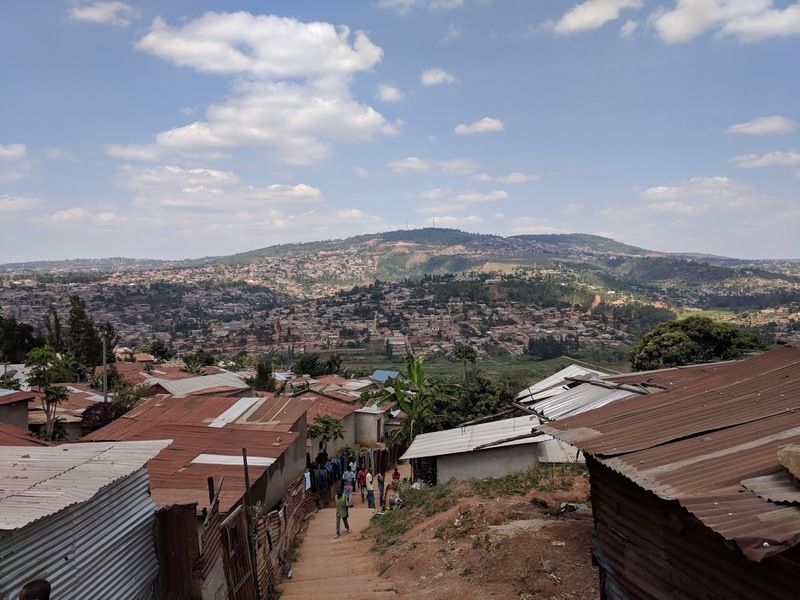 The very active pursuits were matched by some extraordinary cultural events like the Rwanda Genocide Memorial, visits with local families and meals taken as their guests. 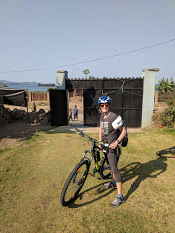 One of the first fitness tests was our mountain bike ride along the Congo Nile River, a 43 kilometer tortuous dirt and rock trail that almost killed me. Only three of our eight finished. 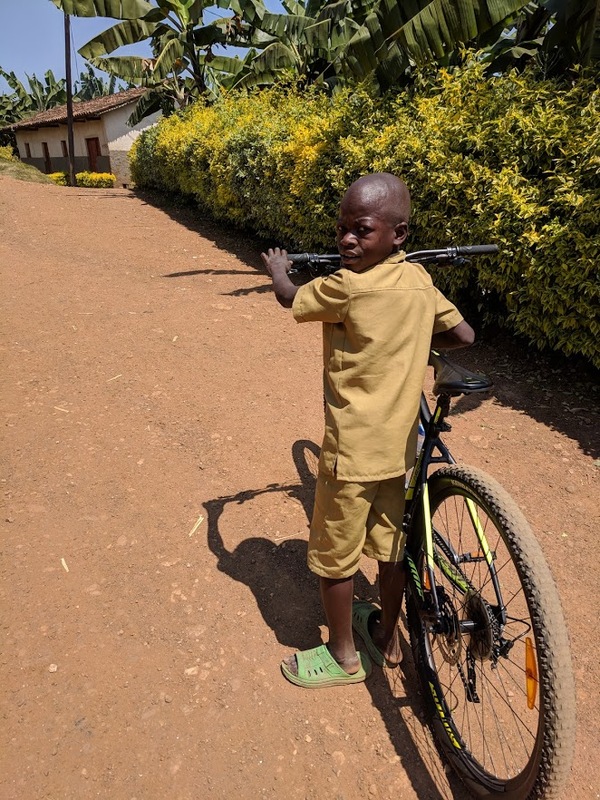 I walked over half and even found a youngster willing to push my bike for a few dollars. Although in fairness, he did ask me to carry his school bag. Two days later we hiked up Mt. Bisoke where each of us had our own porter to assist with our backpacks and hold our hands on the slippery rocks. It turned out to be a long day! 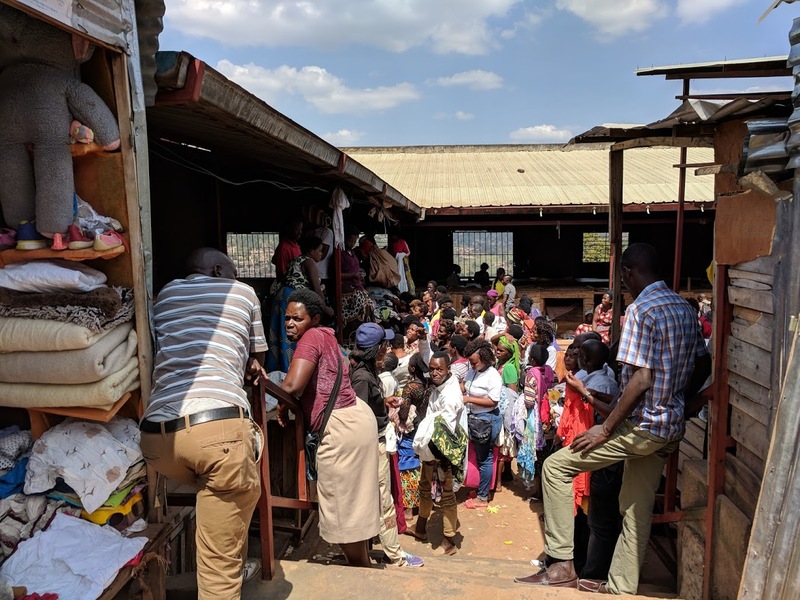 We climbed into the van without cleaning up and drove hours crossing the border into Uganda and then boarding a boat after midnight to get to our camp! 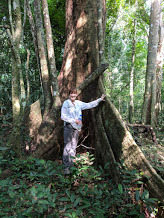 After a full day of rest on Lake Bunyoni we made our way to Bwindi Impenetrable Forest to find the gorillas! While heading in the direction the trackers suggested we were unable to keep up with those fast-moving creatures. Time and again we’d arrive at a spot just deserted. 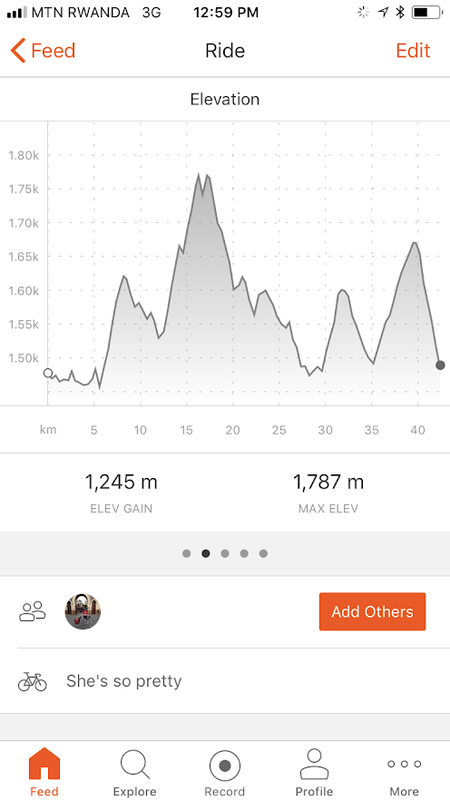 A few hours later our guide decided to engage one of the trackers to assist us as we were showing out disappointment with each grueling step. This new guy moved as fast as the gorillas! In fact, my group was unsettled with the pace as he kept disappearing in the jungle’s high growth. 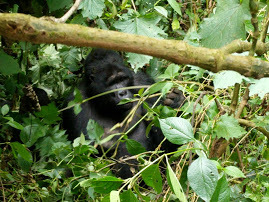 We had to manage as we wanted to see the gorillas as much as we didn’t want to be lost. Once we located the extended family we were allowed to stay with them for a full hour. Heaven. 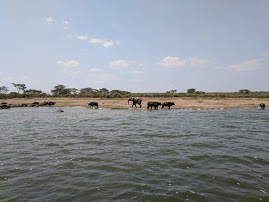 Safari time in the van and on a boat in Queen Elizabeth National Park was next on the itinerary. 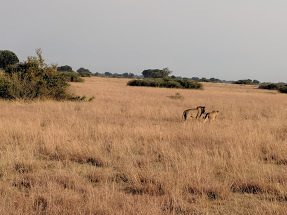 We looked for the tree climbing lions and instead happened upon a pair mating in the tall grass. Quite an experience! We also saw a charging young elephant who went after all animals and birds who were basking near the water. Nature is fascinating to say the least. This is one time in my life when I am capable of staying completely still for hours, just watching in wonder. 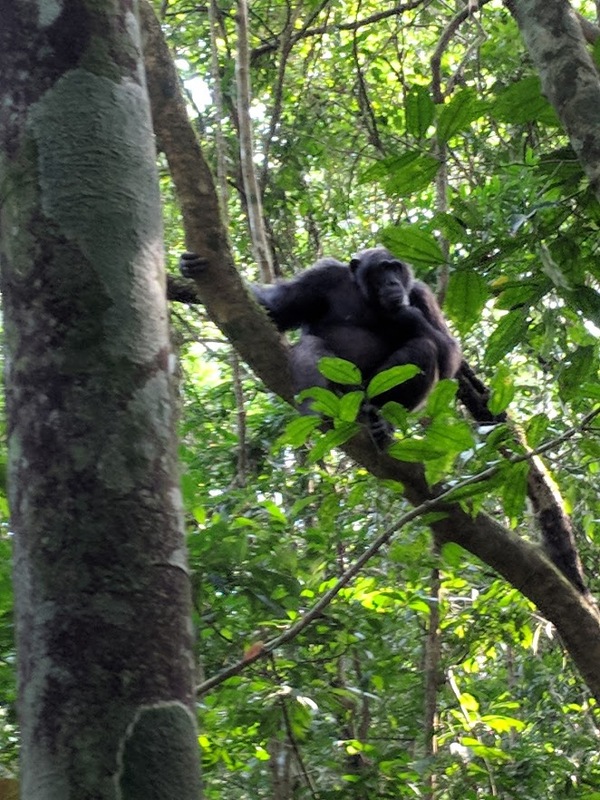 We then traveled to Kibale National Park where chimpanzees are protected in their habitat. The trek was not nearly as difficult and we discovered a couple of families quickly. Our guide, upon noticing my inefficiency taking pictures with my phone, confiscated it and took some of my best photos! I was way too excited. 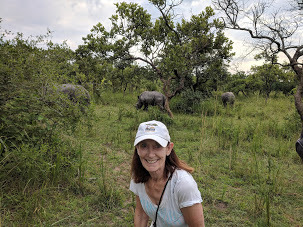 The next night we went to another sanctuary, this one for the white rhino….and spent the next morning tracking them expecting one of them to give birth any moment. Unfortunately, we missed that, but one did enter the camp making us stay in the bar for a second drink! Adventures were not over. 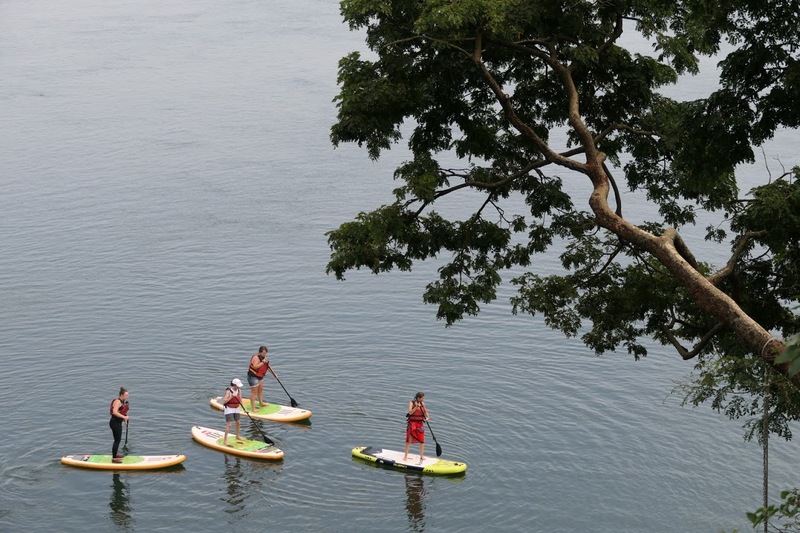 The last day I was able to paddle board on the River Nile!! FYI, I’m still recovering….but home does offer a few missed amenities. 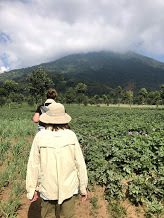 This entry was posted in travel and tagged adventure travel, chimps, elephants, hiking, lions. 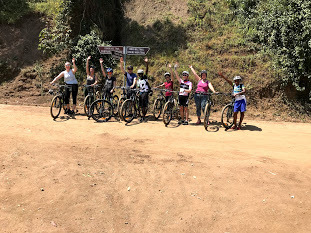 mountain biking, mountain gorillas, Nile River, rhinos, Rwanda, safaris, Uganda. Bookmark the permalink. 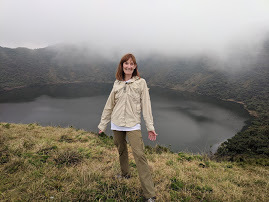 2 Responses to Adventures in Africa: Arduous but Awesome! Great post, Debby! So glad you saw so much and stayed safe. Things have been hectic for me getting the dreaded details taken care of for my mom. Doug and I are headed to Montana for 2 weeks. He will go on his “macho man” hike and I will hang out with our friends in Bozeman. Then home for my mom’s service and party on the 26th. Then finally time to relax and sew. It will be November before we know it!